Frankfurt is one of my favourite cities to visit. Perhaps it is because there are many parrallels to Calgary, both are river cities, both are corporate headquarter cities and both are dominated by modern high rise office buildings. One of things I discouvered and love about Frankfurt is the wonderful street art that exists everywhere. In this case it is not murals on the walls or public art in the parks and plazas, rather it is the poster stuck on mail boxes or the sides of buildings. Some of them are layered with other posters, some are torn and weathered with an urban patina that makes them more interesting. I have chosen ten Found Art Works (FAW) for you to enjoy and comment on. Love to see some of the FAWs from your community. I call this one the "Stoogies" as it reminds me of the "Three Stoogies." It is a good example of art you can find in the streets of Frankfurt. It is like one larger public art gallery. This one remains untitled. I love the duality of black ominous watercolour lettering, contrasting with innocence of the baby blue lettering. The jogger/boxer at the top of the cliff creates a wonderful tension and a reminder of how insignificant mankind is in the big reality. Titled "Mask" this mixed-media work is a reflection of a poster in a window that creates an intriguing layer of images. There is a theatrical quality to this artwork, as if we are all part of performance art piece. Titled "Ballet" I can't remember what this poster was advertising, but the juxtaposition of the two bodies one with and one without flesh was haunting. Like all good art their is strong tension between the two antagonists. Also, like all good art it asks a questions - Is beauty truly skin deep. Titled "Staring" this work as an existential element to it that attracted me. There is an emptiness and yet it is not depressing, it is completely devoid of any emotions - that is very hard to do. 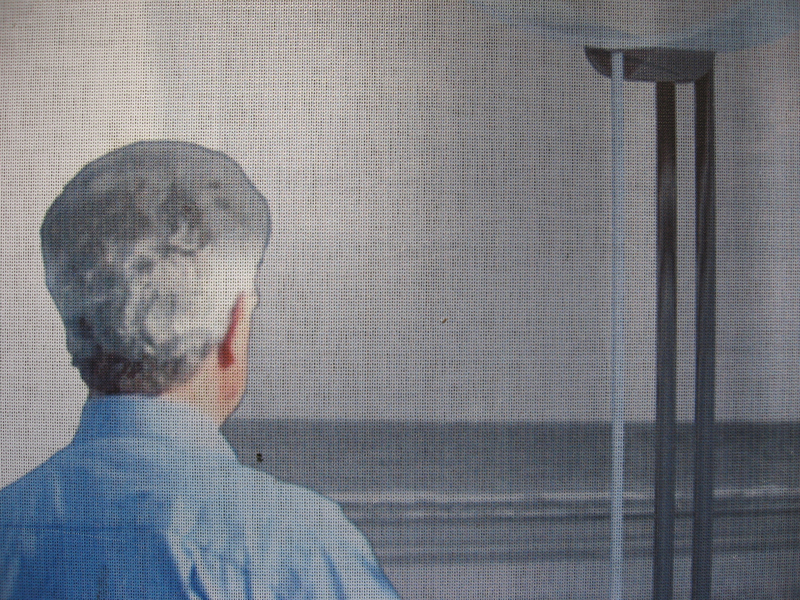 The viewer is left to fill in their own emotions, ideas and ideologies. Good art to me has an ambiguity that allows for input from the viewer. 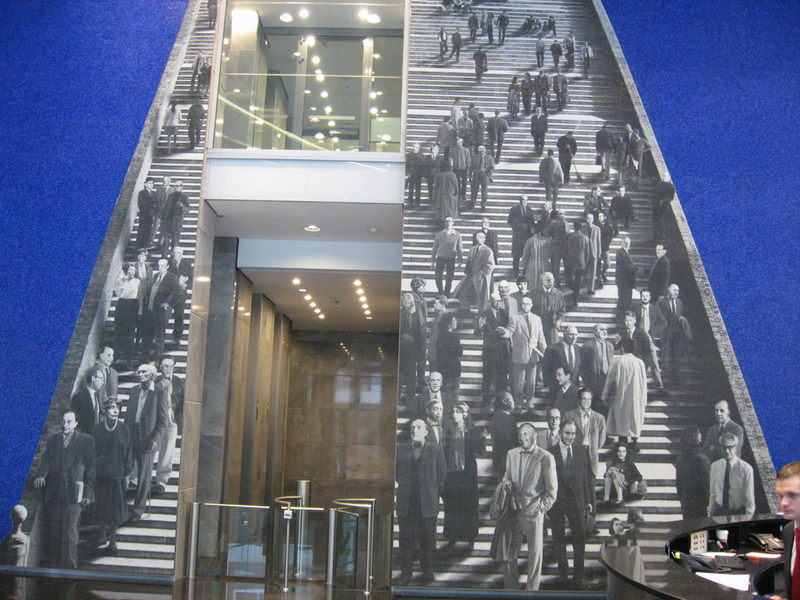 Title "Staircase" is a wonderful example of a mural that interacts with place to create a synergy for the eye and mind. Title "Sitting." The Hitler like figure first caught my attention, but my interest was held by the layers of images from the people in the background sitting at their desks to the mechanical ornaments on the left. The central figure looks like he is about to ride a bull in the Calgary Stampede - few others would see that! Title "Dancer." 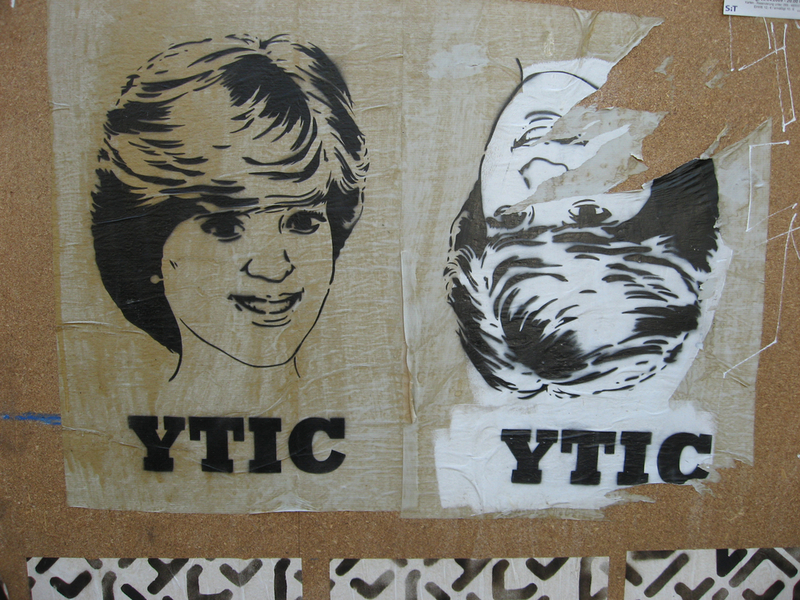 This stencil was applied to walls in various locations around the city centre. I liked the feminine / masculine duality of the image. Title "Loves You." It wouldn't be Germany without some eroticism. Title "Lady D." Cities are about contrasts, I was surprise to find this Lady Di image in Frankfurt, with the black and white torn ghost-like image beside it. This could be call a portrait of innocence.